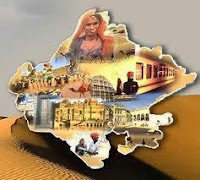 Rajasthan GK Question in Hindi Sample Paper 163: Rajasthan General Knowledge Sample Question Paper with Collection 10 Question of Rajasthan GK Questions for RAS, Rajasthan Police, REET, SI, Contable, Patwari and other state exams under GK Quiz in PDF @ Rajasthan GK Sample Papers. Rajasthan General Knowledge (GK) and General Studies (GS) Questions from various examinations of Rajasthan Govt. and central Govt Examinations. Q.3256. जाकी रही भावना जैसी, प्रभु मूरत देखी तिन तैसी। प्रस्तुत पंक्ति के रचयिता हैं? Q.3257. जोधपुर की स्थापना कब हुई?